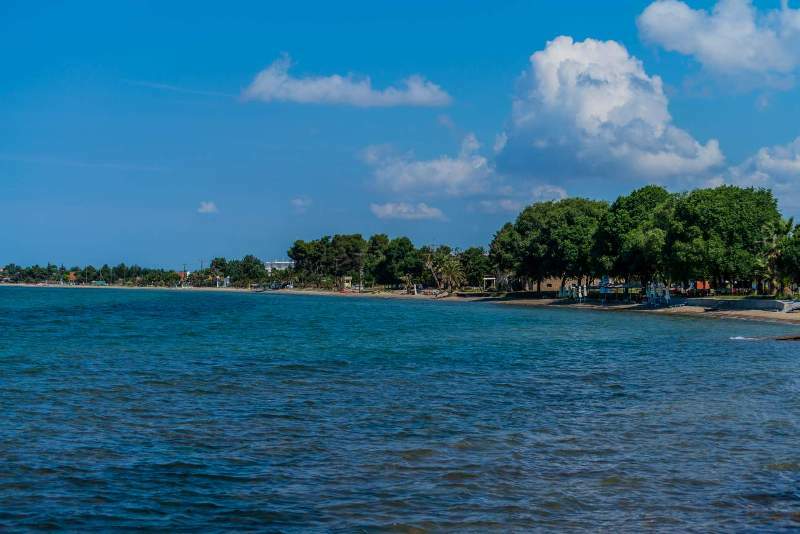 Nea Triglia is a Blue Flag, sandy beach that has crystal-clear waters. It is quite organized providing lifeguard supervision and disabled access. Enjoy your day under the big trees shade, try some fresh seafood in the taverns beside the beach or have a little fun playing beach volley in the court nearby.